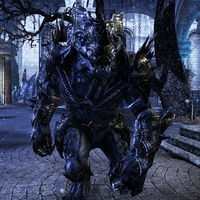 King Khrogo is a daedroth and one of the Patrolling Horrors in the Imperial City's Arena District. He summons Dark Seducers in combat. There are a few Achievements associated with this creature. Horror of Horrors 15 Defeat all the Patrolling Horrors in the Imperial City. This page was last modified on 22 August 2018, at 21:41.